The updated version of the 2002 clinical practice guidelines (CPG) on managing adult asthma has been launched by the Ministry of Health. Apart from increasing awareness and knowledge of people managing the disease, it will also allow patients to be correctly diagnosed and started on the appropriate medication, the MOH said. 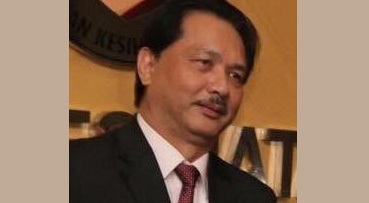 Health Director-General Datuk Dr Noor Hisham Abdullah said that there have been new developments, especially in the treatment algorithm and the advent of new pharmacological treatment such as biologics, as well as bronchoscopic treatment like bronchial thermoplasty, for the last 16 years. Noor explained: The new CPG emphasises the diagnosis and assessment of asthma, and treatment pathways for stable and acute asthma in all levels of healthcare. It also includes a written asthma action plan to help both healthcare providers and patients in managing the disease. The care of special groups such as asthma in pregnancy, occupational asthma and asthma with co-morbidities are discussed in detail, while the different inhaler devices and proper technique of using them are also featured in the CPG. Serdang Hospital was the first hospital in Malaysia and one of the first few centres in Asia to offer bronchial thermoplasty since five years ago, he said. In 2014, asthma deaths in Malaysia reached 1,642, thus accounting for nearly 1.3% of total deaths, according to a 2014 World Health Organisation data.